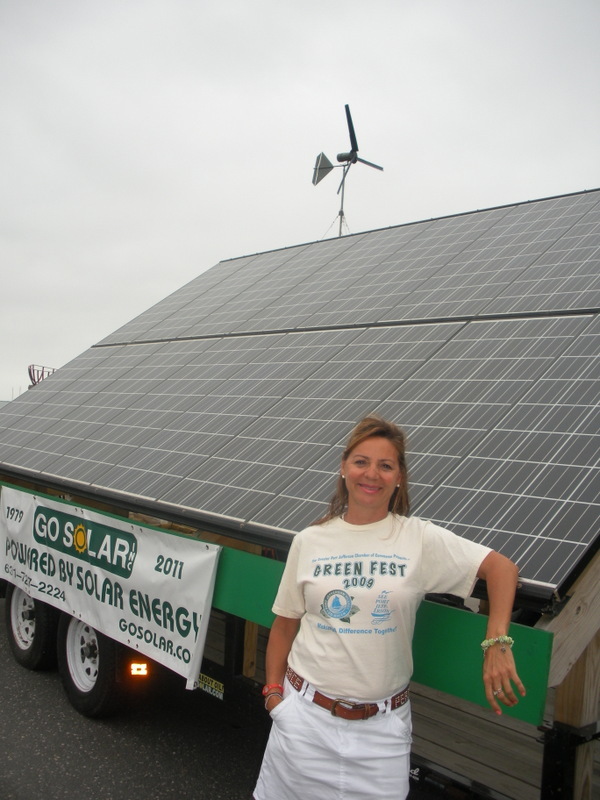 With our 4th Annual Green Festival in Port Jefferson on June 16th at the beautiful Village Center…..I’ve been thinking GREEN! I want to make you aware of two loan products that can finance energy efficient improvements to your home, while helping our environment. The first one is a smaller loan that has been around for a few years, but rarely utilized. It’s called the EEM (Energy Efficient Mortgage). • It is available as an add-on to VA and FHA loan products, including 203K, for home purchases and refinances. • It allows a borrower to get an additional 5% of the home price (capped at $8,000 for FHA and $6,000 for VA loans) to finance energy efficient improvements. • The beauty of the additional funds is that the additional debt incurred in your monthly payment is excluded from your qualifying ratios. The logic is that what will be saved in electric/heating costs will be more than the increased mortgage payment. • Logistically, your lender will require an independent certification of projected savings prior to closing, and they will hold the monies in escrow, until the work is completed and inspected. Otherwise, it is a fairly simple program that doesn’t alter your required documents or qualifications. • Some of the more typical uses for the money are: replacement windows and doors, increased insulation, upgraded oil burner, conversion to gas heat, central air, sun lights, small solar panels, even energy saving appliances. The other loan product that can finance energy efficient improvements to your home is the tried and true FHA 203K which will finance homes and their renovations up to the local FHA loan limit. In terms of green mortgaging, borrowers have been able to finance $50,000 solar heating and electrical systems and geo-thermal heating and cooling systems which enable homeowners to slash their energy costs and usage. Besides saving the earth’s resources, over time, customers save money. It’s a win/win. Remember that Smart Financing for your home, can help our environment, too! And both types of loans can be done at time of acquisition or during a refinance. Talk to us about the ability to upgrade your home, while benefiting the environment, at the lowest possible interest rates! See you at PJ Green Fest 2012 on June 16th!